Are you wondering which are Franklin Roosevelt Accomplishments? Franklin Delano Roosevelt served as the 32nd President of the United States from 1933 until his death in 1945. During his presidency, Roosevelt had to deal with many major problems, with two being the biggest – the worst economic crises of the 20th century known as the Great Depression, and with one of the most terrible events in the human history – the World War II. Franklin Roosevelt Accomplishments speak for themselves. 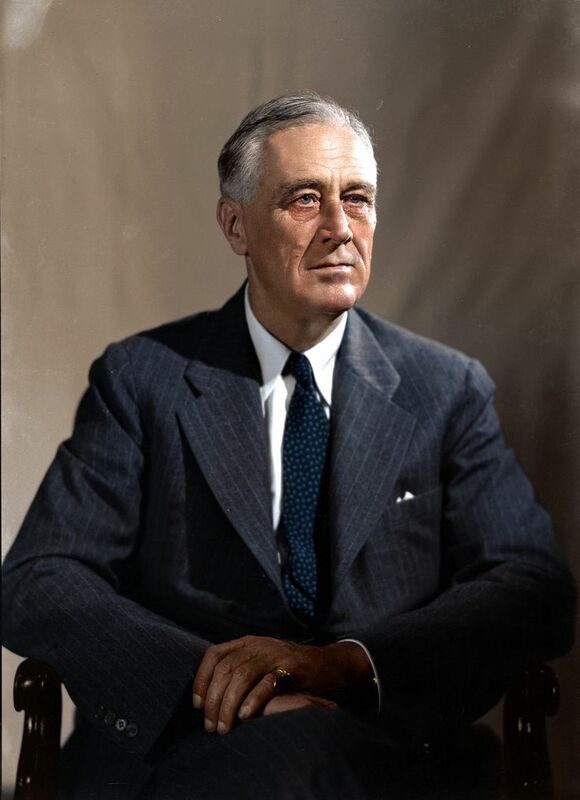 Being the longest serving U.S. President, Franklin Roosevelt did many things to improve the economy of the States and the living standard of the citizens, while at the same time creating war strategies in the World War II. Read below to find out more about this President and what he has done for his country! In 1932, Franklin D. Roosevelt became the 32nd President of the United States and then he was re-elected on the next elections in 1936. Even though the convention established by George Washington says that a U.S. President can not run for the third time, that’s exactly what Roosevelt did in 1940 and he successfully won. He was elected for President in 1944 as well and served as such until his death in 1945. After that, Washington’s two – terms convention was passed into law. When Franklin D. Roosevelt was elected for President, the U.S. economy was in a very bad position, being hit by the Great Depression. Franklin ordered the banks to close for few days until the Congress could pass reform legislation. This is when the Emergency Banking Act was created and thanks to which the Federal Reserve Banks issued additional currency on good assets. Next step was returning the stashed cash in neighborhood banks by depositors and after this step, the New York Stock Exchange recorded the largest one – day percentage price increase. 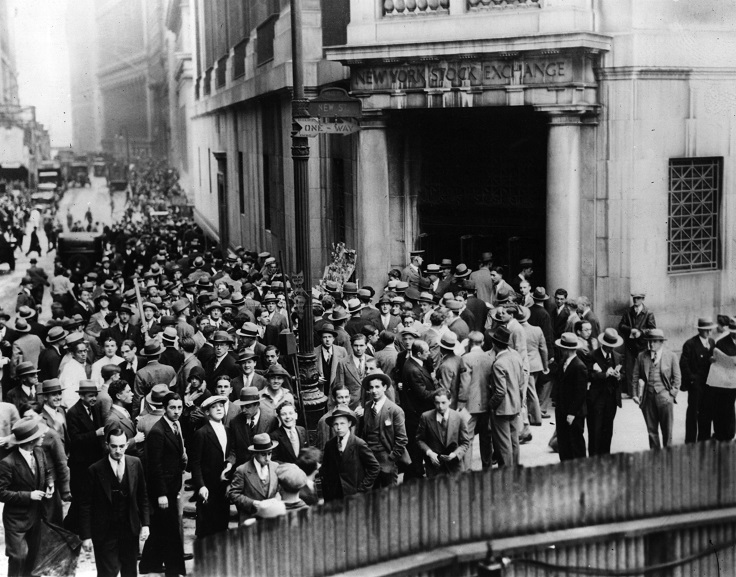 Following the Emergency Banking Act, in 1933 Franklin D. Roosevelt signed into law the the Glass – Steagall Act. This banking act helped the establishment of the Federal Deposit Insurance Corporation (FDIC), which provided deposit insurance and protected the bank depositors from losses in case the bank couldn’t pay its debts. 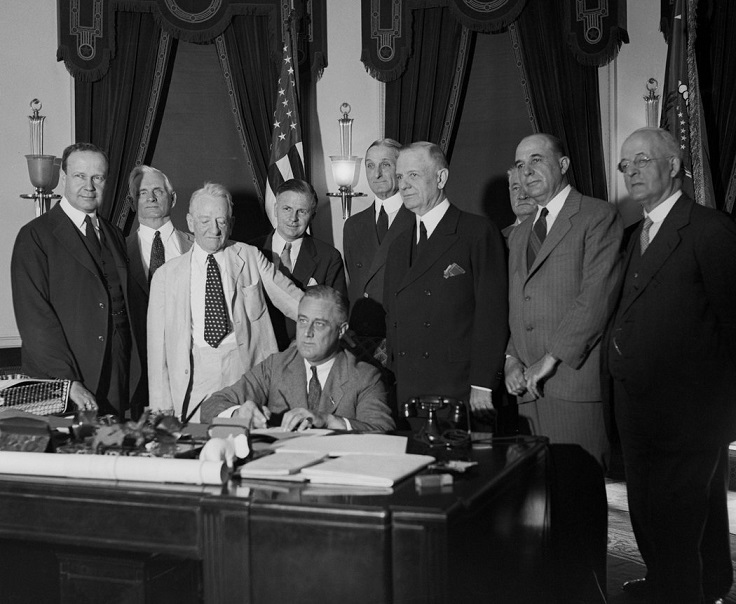 The Glass – Steagall Act made the banking system more stable and trustworthy. The Social Security Act helped millions of elderly, sick and poor people by making them economically secure – one of the ways was through the Work Projects Administration (WPA) which hired people for public work projects. 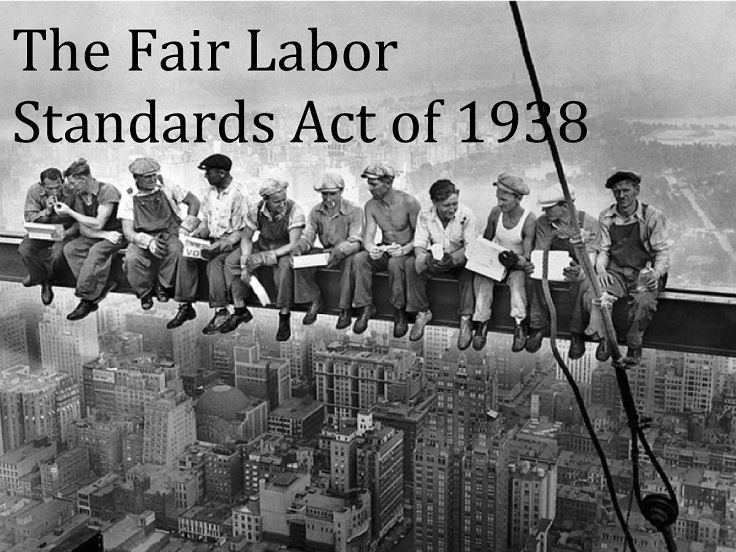 Soon after this, the National Labor Relations Act was signed into law and this protected the employees in the private sector by forming trade unions who fought for their basic working rights. 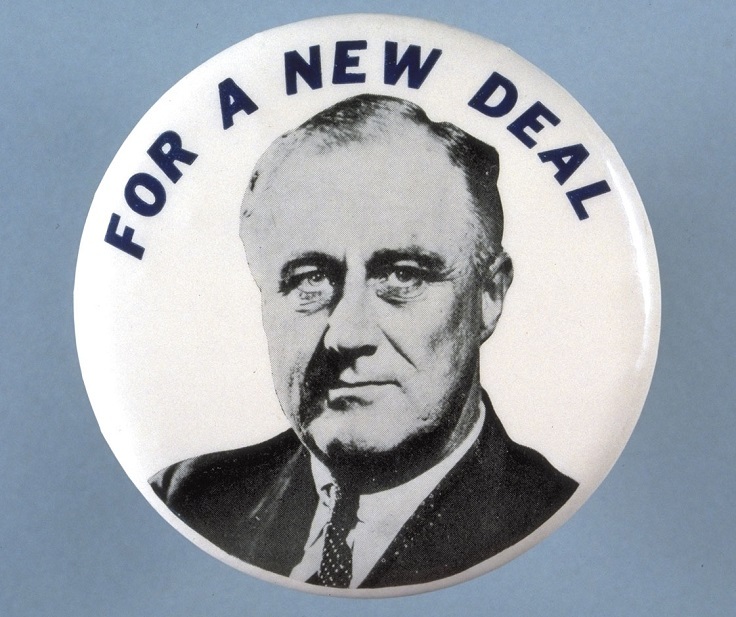 The New Deal is actually a number of programs that Franklin Roosevelt came up with from 1933 until 1938, during the hard years of the Great Depression. Roosevelt formed the Federal Emergency Relief Administration (FERA) whose job was to give loans and grants to the States so that they can use them to help fighting against poverty and other relief programs. The New Deal and the Social Security Act helped millions of people and improved the economy that much so that it grew for 58% in eight years. During his presidency, Franklin came up with the Fair Labor Standards Act in 1938 and with this act he made the 40 – hours work week possible, he established the national minimum wage and guaranteed payment of overtime working. He also prohibited children working oppressive jobs. Year before this, Franklin passed into law the Housing Act with which the living conditions of low – income families were really improved. After the Japanese attack on Pearl Harbor and the war declaration by Italy and Germany, Franklin knew he must act wise during the war. 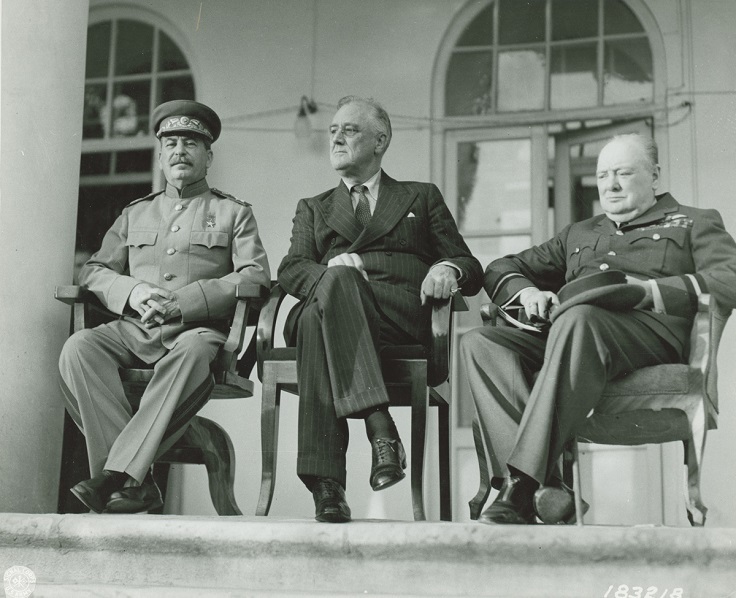 The Allied Coalition was made out of three big leaders during the World War II, including Franklin Roosevelt, Winston Churchill and Joseph Stalin. Formed by Franklin, the Big Three were fighting the Axis Powers and created a war strategy that helped them defeating them. 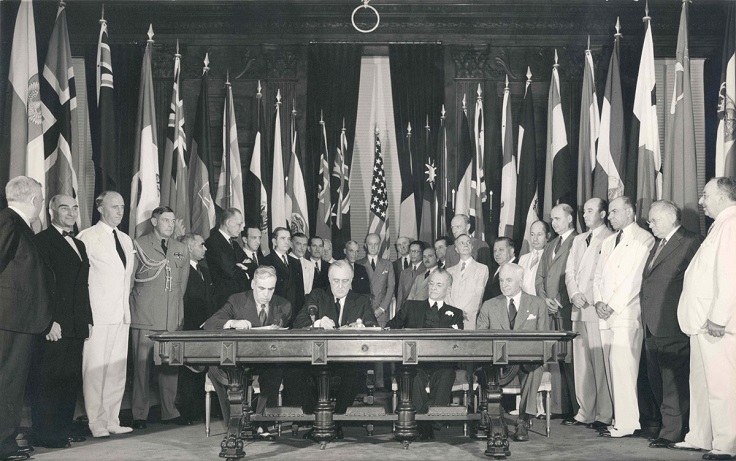 During the World War II, Franklin Roosevelt believed that the allied countries should form an organization that would prevent such terrible war events to ever happen again. He was the first to come up with the term United Nations and together with Winston Churchill and Harry Hopkins, Roosevelt drafted the Declaration by the United Nations. Roosevelt died just few months before the end of the World War II and before the official operations of the United Nation as such organization. 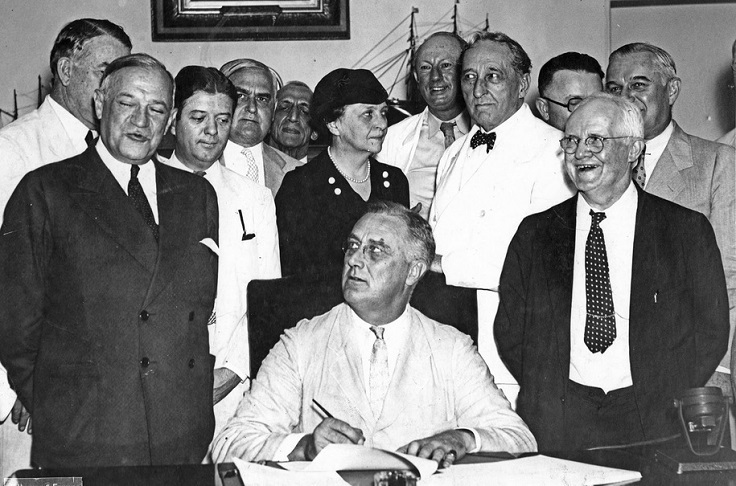 Franklin Roosevelt was the first president that fought against employment discrimination. 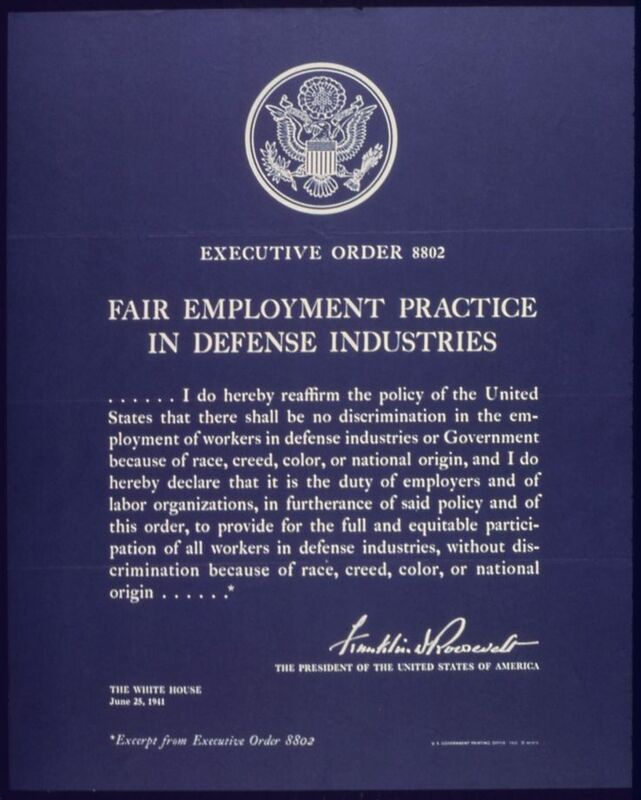 He did this with creating the Fair Employment Practice Committee (FEPC), that was the first national program to ever fight against employment discrimination. Thanks to this, major minority groups could work without their basic rights being violated. 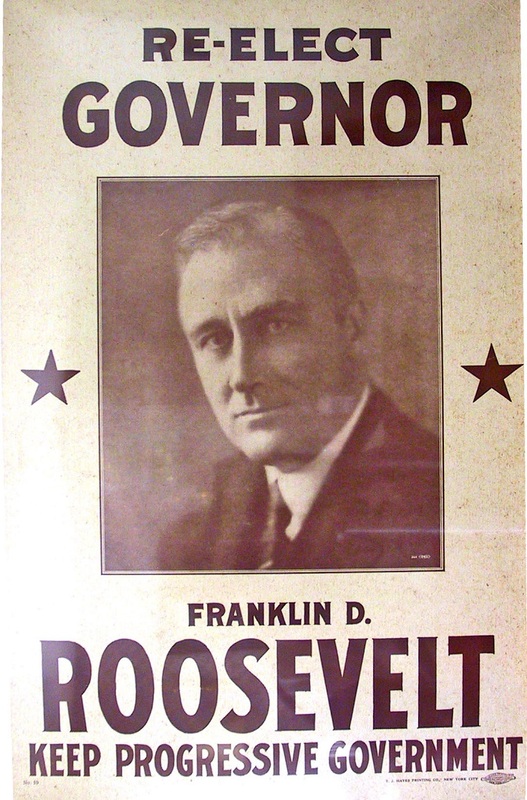 Last, but not least, before running for President, Franklin Roosevelt was Governor of New York for three years, from 1929 until 1932. During these years as Governor, Roosevelt tried and successfully fought against poverty caused by the Great Depression and dealt with the city’s corruption problem. He also made changes in the state’s prison administration. If you want to know more about Franklin Roosevelt’s life and accomplishments check out this awesome documentary film or purchase “FDR“, a book by Jean Edward Smith.